Published June 17, 2018 at 748 × 420 in What’s Hot in Chicago? The Weather and Elon Musk’s High Speed Airport Shuttle. 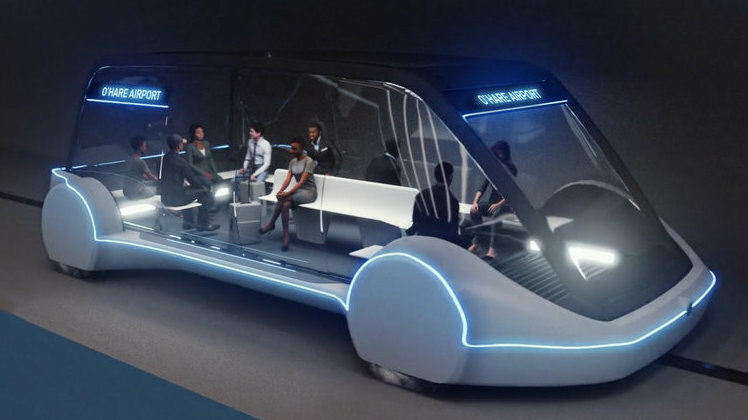 Come on: Wouldn’t you want to ride in an electric vehicle that travels in a tube at 150 mph? Photo courtesy of the Boring Company.